The Obama administration has agreed to provide disability benefits to military veterans exposed to contaminated drinking water while at Camp Lejeune in North Carolina, according to an official notice published on Thursday. Veterans, former reservists and former National Guard members who served for at least 30 days at the U.S. Marine Corps Base from 1953 to 1987 and have been diagnosed with one of eight diseases are eligible, according to the document published in the Federal Register, the government’s official journal. The Associated Press, which first reported the story, said the estimated cost to taxpayers of the added benefits would total $2.2 billion over five years. The additional payments from the Department of Veterans Affairs would start in March and go to veterans who developed adult leukemia, aplastic anemia, bladder cancer, kidney cancer, liver cancer, multiple myeloma, non-Hodgkin’s lymphoma and Parkinson’s disease, the notice said. The department has estimated that up to 900,000 service members were potentially exposed to the tainted water at the base, the AP reported. Contaminants included the volatile organic compounds trichloroethylene, perchloroethylene, benzene and vinyl chloride. The Defense Department is stitching up an inequality gap in reservists’ benefits when performing different duties that experts and lawmakers say should have been fixed long ago. For years reservists received differing pay and benefits depending on which of the 32 duty statuses their orders fell under, causing a bureaucratic mess and gaps in benefits. “The current [reserve] status system is complex, aligns poorly to current training and mission support requirements, fosters inconsistencies in compensation and complicates rather than supports effective budgeting. Additionally, the [reserve] status system causes members to experience disruptions in pay and benefits as they transition among different duty statuses,” stated a 2015 Military Compensation and Retirement Modernization Commission (MCRMC) report. One of the most used examples to describe this problem is when an aircraft or the helicopter goes down with active duty service members and reservists with different orders on board. Despite doing the same activity, “the benefits are completely different for the surviving spouses,” Assistant Secretary of Defense for Manpower and Reserve Affairs Todd Weiler told Federal News Radio in an exclusive interview. But all that may be about to change. DoD presented a plan to lawmakers last month to consolidate the more than 30 reserve duty statuses into just four. “By bringing the number of statuses down to a manageable number that’s associated with different duties we can then equalize the benefits across those duties,” Weiler said. … Right now, the way reservists are called up differs on a number of factors. Each time the purpose changes — say from aid to state government to training — the original orders must be canceled and new ones are drawn up. “The status under which [a reserve] member serves differs depending on a variety of factors: whether the status is active duty, full-time National Guard duty, or inactive duty; whether the duty is voluntary or involuntary; and whether the [reserve] member’s mission is training, support or operations. One-hundred seventy statuses may differ based on the type of appropriation that funds the status,” the MCRMC report stated. The new categories bunch together a handful of each of the previous statuses. … The categories basically align with active duty for contingencies, active duty for other than contingencies, normal drill duty and remote training at home. … The Pentagon estimates the total cost of the switch will be about $28.5 million in 2017. The cost over five years will come to about $142.3 million, stated documents obtained by Federal News Radio. … But there is still a long road ahead. Implementing the new program requires a change to more than 400 laws pertaining to authorities, benefits, compensation, legal protection and special and incentive pay. Congress seems friendly to the idea. It mandated DoD come up with a new status system for reservists and implement it by October 2018 in the 2016 defense authorization act. The Pentagon plans to brief Congress again in March with a construct brief and draft legislation. … Reservists will be educated about the new system and reservists will be told with each order what category the order falls under. “Right now you could be given an order and your buddy next door could get a set of orders, they could be under different authorities, you could be going to do the same thing and think you have the same benefits, but you don’t,” Weiler said. Weiler added he talked to President-elect Donald Trump’s transition team and they seemed very excited about the program. The team will pick up the reins and in the meantime leftover staff will work on the effort. The psychiatrist at the center of an opioid scandal at the troubled Tomah Veterans Affairs Medical Center has agreed to surrender his medical license, under an agreement reached Wednesday with state regulators. Under the deal, David J. Houlihan agreed never to apply for a medical license in the state, in exchange for state regulators dropping their investigation into his actions at Tomah and not seeking reimbursement for the probe. Houlihan has 30 days to wrap up his practice in La Crosse before surrendering his license. While chief of staff at the Tomah facility, Houlihan was given the nickname “candy man” by some vets because of his alleged widespread distribution of painkillers. “I believe he has no business treating our nation’s veterans or any citizen in Wisconsin, so this is welcome news,” U.S. Sen. Tammy Baldwin said in a statement on Houlihan’s deal with the state. The Tomah VA came under fire in January 2015, when a report by the Center for Investigative Reporting detailed high levels of opioid prescriptions at the facility and a pervasive culture of intimidation and retaliation against employees who spoke out. Officials in the U.S. Department of Veteran Affairs’ office of inspector general had identified “troubling” levels of opioid prescriptions at the facility in 2014 but found no criminal wrongdoing. Last year, the U.S. Senate Homeland Security and Governmental Affairs Committee, which is headed by Republican U.S. Sen. Ron Johnson, issued a withering report identifying “systemic failures” by the OIG for its review of the problems at the Tomah hospital. Johnson said in a statement on Wednesday that the state investigation confirmed the work of his committee: “As my committee’s investigation also found, the Tomah VAMC and Dr. Houlihan repeatedly failed to honor this nation’s promises to the finest among us.” Houlihan has been under investigation by the state’s Medical Examining Board for more than two years. The board filed three complaints against him. In one complaint, Houlihan was accused of creating “the unacceptable risk” that an unnamed patient — described as Patient A — would “suffer adverse consequences, up to, and including death.” The unnamed patient was Jason Simcakoski, a 35-year-old Marine Corps veteran who died at Tomah in 2014 while under Houlihan’s care. In addition, Houlihan was accused of inappropriate care, unsafe prescriptive practices, acting beyond the scope of his psychiatric practice, inadequate documentation and failure to discuss risks and benefits of treatment. Houlihan, who could not be reached for comment, denied any professional misconduct in the stipulation with medical regulators. The case built against the psychiatrist relied heavily on the work of the U.S. Department of Veterans Affairs, which revoked Houlihan’s medical privileges and fired him from the Tomah facility in November 2015 for his failure to provide proper treatment to 20 Tomah VA patients. Houlihan took his case to the Disciplinary Appeals Board, which took testimony and reviewed 155 exhibits during a five-day hearing last year. In June, the board affirmed the initial decision against Houlihan in what it called a “major adverse action” against the psychiatrist. The board found Houlihan prescribed opioids to patients without proper documentation, in excessive amounts or to patients with a history of drug or alcohol abuse. Wisconsin regulators used the information from the Department of Veterans Affairs to bolster their case against Houlihan. A state administrative law judge issued an order last month granting partial summary judgment against Houlihan for engaging in “unprofessional conduct” under state law. A group of veterans advocates wants to know why President Barack Obama commuted the sentence of Chelsea Manning and other felons but won’t act on a pardon for thousands of veterans with post-traumatic stress disorder. “We continue to hold out hope that President Obama, in his final days as commander-in-chief, will not forget the thousands of veterans with PTSD who have been denied access to health care and treatment from the Department of Veterans Affairs,” Vietnam Veterans of America John Rowan said in a statement late Tuesday. “As pardons are being issued to people who have been convicted of serious felonies, veterans who served their country in combat wait to be offered the same clemency.” On Tuesday, Obama commuted the sentences of 209 prisoners and issued 64 pardons in one of his final acts as president. The majority of the decisions were for lower-level drug offenses, an issue that has been among Obama’s top executive actions in recent years. But the list also included Manning, a former Army intelligence analyst sentenced to 35 years in prison for leaking sensitive information, and James Cartwright, a former Marine Corps general convicted of lying to the FBI about the release of sensitive intelligence information to reporters. 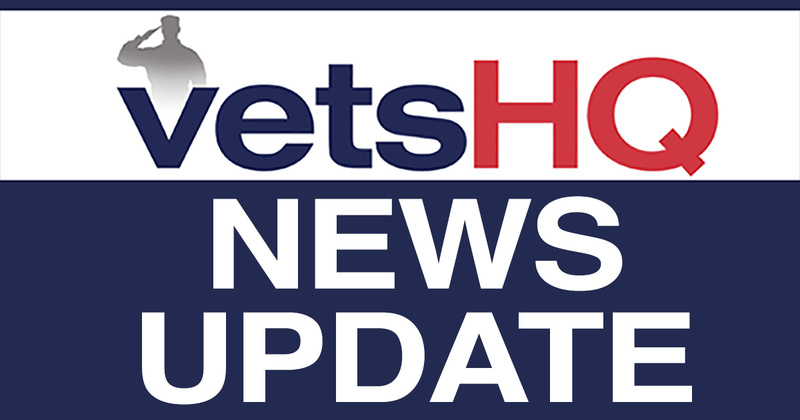 VVA officials have been pushing both Obama and President-elect Donald Trump to address the issue of “bad paper” discharges for troops who suffered from post-traumatic stress, traumatic brain injury, military sexual trauma or other mental health issues. They estimate as many as 300,000 of veterans of the recent wars have been barred from receiving health benefits and other VA support programs because of unfair dismissals, which failed to take into account health problems related to military service. Instead of being kicked out of the ranks for alcohol abuse, drug use and suicide attempts, those individuals should have received counseling or health services from the military, VVA officials argue. Exactly how such a pardon for those veterans would work remains unclear. Because there is no standard list for what veterans would be eligible for a discharge upgrade, Obama’s staff would have to work out a deal with Trump’s staff to keep enrollment open for months or years. That seems unlikely, given the few remaining hours of Obama’s presidency. Still, Rowan said he is hopeful White House officials will consider a last-minute action. “We cannot wait another four or eight years for an outgoing president to take action to help the most vulnerable veterans in the country,” he said. Monday night was lasagna night inside the strip-mall storefront of VFW Post 9981. Clemson was still behind Alabama on the big screens as regulars trickled in. At the bar, Joe Federmann considered how Esteban Santiago fell through the social safety net Alaska has for veterans. A young combat vet, Santiago lived for several years in this town of 300,000 before he boarded the plane that took him to Fort Lauderdale, Fla., where the FBI says he shot five strangers at the baggage claim. Santiago showed signs of serious mental illness and a propensity for violence the year before the trip, investigators say. Federmann wondered whether he had signed up to get mental health care from the Department of Veterans Affairs. There is good help available for vets, he said, but they have to take it. “The thing about it is, a lot of veterans don’t feel they want to seek that help because they think they don’t need it,” Federmann said. It has been more than 40 years since Federmann, 71, saw a man killed by a rocket in Vietnam, but the memory is still searing, he said. When he came back from the war, he and his family moved to Alaska. He found peace in the vast wild landscapes, the fishing and a community of veterans who understood him, he said. He also had good care at VA. When he dies, he would like his ashes spread over an Alaska mountain range, he said. There are more vets per capita in Alaska than any other state. One out of every three people is either military or a dependent, according to Verdie Bowen, director of veterans affairs for the state. Alaska offers vets opportunities in oil fields, health care, mining, aviation, military contract work and the federal workforce. In a place where bears eat out of trash cans and moose rut in cul-de-sacs, nobody makes a big deal about owning guns. And Alaskans tend to value self-reliance and practicality, Bowen said. “A lot of the veterans come up here; they want to be on their own,” he said. “A lot of veterans are of an independent mind-set.” That mind-set meshes well with Alaska’s long legal tradition of respecting individual rights. The state constitution has an uncommon explicit privacy clause, stating “the right of the people to privacy is recognized and shall not be infringed.” A person can carry a gun — open or concealed — without a permit. The standard for committing someone to a mental health facility is high. But this culture of fierce independence may also be part of what kept Santiago from getting the help he needed, said Vanessa Meade, a social work professor at the University of Alaska at Anchorage, an advocate and Gulf War Army combat veteran. “Individual rights here are really held high, which can be a really good thing,” she said. “But if somebody does need assistance, it can make it hard for people to get access to it.” When Meade read Santiago’s story, a flood of similar recent stories came to mind. There was veteran Micah Johnson, who killed five police officers in Dallas last year, and Gavin Long, who shot officers in Baton Rouge. Most veterans are doing just fine, but for those who are suffering, the system can do better, she said. Alaska has expanded mental health programs and access to health care for veterans greatly over the past decade. The biggest obstacle for veterans in need of mental health care is getting them to sign up for VA services, Meade said. That’s a problem nationwide. “DOD and the VA don’t communicate,” she said. “If a veteran doesn’t sign up for services before they leave the military, it is really, really difficult for them to get in.” Roughly half of Alaska’s 70,000 veterans are enrolled with VA, Bowen said. It’s unclear whether Santiago had enrolled with VA in November when he showed up at the FBI headquarters with his infant child and a gun, complaining his mind was being controlled by a U.S. intelligence agency. He was hospitalized for four days at a psychiatric facility and released. Police took his gun, but having no legal reason to keep it, gave it back a month later. When he arrived four hours early for his one-way flight to Florida on Jan. 6, checking only a firearm, he attracted no attention. Gun cases are a common sight at the airport. Alaska has no laws that restrict gun ownership. It relies instead on federal law. To lose his gun under that, Santiago would have had to be involuntarily committed on a 30-day petition, said Mark Regan, legal director at Alaska’s Disability Law Center. In Alaska, a person must be proven to be an immediate danger to himself or someone else, or disabled in a way that he is unable to meet his own most basic needs. Alaska’s civilian mental health system is not set up to institutionalize patients, and some clinicians say it is overburdened. People in crisis are evaluated, stabilized and sent home with referrals. But sometimes they don’t follow through. Even if they are delusional, they are allowed to make that choice. This may be what happened with Santiago. “That’s what happens with a lot of people. They go into API [Alaska Psychiatric Institute], and they come out stabilized,” Regan said. “The way it works has less to do with how the statutes work and more to do with pressures on the system.” That is how some seriously mentally ill people end up on the street, which is particularly dangerous in Alaska because of the cold. Roughly a third of Anchorage’s homeless population is mentally ill. The largest mental health care provider in the state is the prison system. “Veterans Day” events are underway today at the state Capitol. Organizers say much progress has been made to provide relief to veterans, but the groups involved are pressing for legislative action on a few key issues, like doubling the property tax credit for veterans. “I urge our veterans with us today to locate your elected officials and discuss our legislative initiatives with them,” Bob Steben, interim director of the Iowa Department of Veterans Affairs, said. Steben was among more than a dozen speakers at an hour-long event in the statehouse rotunda. Brigadier General Drew DeHaes of the Iowa Air National Guard leads units based in Des Moines, Sioux City and Fort Dodge. “Working together, we can tackle any issue,” DeHaes told the crowd. The veterans groups are asking legislators to waive registration and license fees for the vehicles disabled veterans drive. State officials say there are 37,000 disabled veterans living in Iowa today. Many of the veterans lobbying at the statehouse were wearing their medals, caps and some even came in their old uniforms. Lieutenant Governor Kim Reynolds called it a “phenomenal turn-out.” “What our veterans have done for this state and this nation will never be forgotten,” Reynolds said. Governor Terry Branstad took a sick day Tuesday, but he was at the event today to welcome veterans to the capitol. “We need to make sure that we do all we can at the state level to honor and recognize the men and women who accepted the call of duty to serve the country and now need our assistance and support,” Branstad said. Branstad, a veteran who served stateside during the Vietnam era, did not address the specific agenda items veterans groups are asking lawmakers to enact this year. Representative Steven Holt, a Republican from Denison, is chairman of the House Veterans Affairs Committee. “Having spent 20 years in the United States Marine Corps, I understand that each of us stands here today as free men and women because of the sacrifices of our veterans,” Holt said. Holt promised to be “tenacious” in addressing veterans issues in the legislature. “I encourage all of our vets here today to contact your legislators on your issues of concern,” Representative Jerry Kearns said, “and we’ll try to listen.” Kearns, a Democrat from Keokuk who served in the Air Force in the 1960s, is a member of the House Veterans Affairs Committee.